Hanoi (VNA) - Athletes who achieve high results at the upcoming Southeast Asian (SEA) Games will receive bonuses from Pha Le Plastics JSC, an official of the Vietnam Sports Administration has announced. 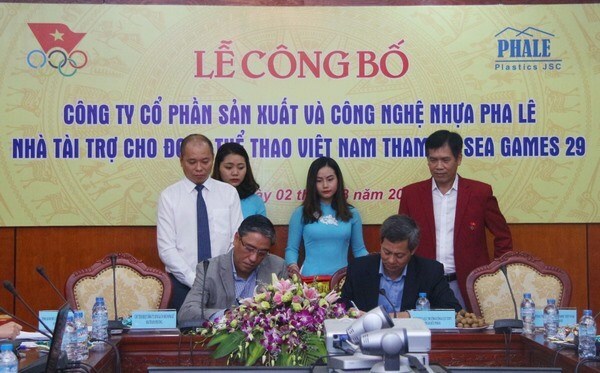 Tran Duc Phan, deputy head of the Vietnam Sports Administration, said that following the sponsorship deal signed in Hanoi on August 2, the best 15 athletes of each sport in the Games will be rewarded. The first gold medallist, the most valuable athlete and the best footballer will also enjoy their bonuses. Pha Le Company Director Duong Quang Thang promised to recruit family members of awarded athletes to work at their factories based on their working knowledge.